We love having a good piece of crusty garlic bread with our spaghetti dinners, or really anything Italian for that matter. Did you know how easy is it to make your own? I suppose a little more time consuming than grabbing a loaf from the frozen food section in the grocery store, but not much more, I promise. Our local Hy-Vee currently has loaves of their soft french bread on sale for $0.99. It's perfect for these so I grabbed a pack of two loaves and make up a couple bags for the freezer this morning. I like to have the slices already cut and prepared, that way we can remove how many ever we'll be needing for our meal and won't have to worry about wasting. You can definitely jazz these up a bit by adding grated cheese over the tops but I kept them simple today. Lots of butter and garlic flavor going on in, perfect for dunking into marinara sauce! After they were all done baking in the oven, I piled them into a couple different freezer bags and tossed them into the freezer. Easy peasy! I'll be glad they're in there come dinner time. 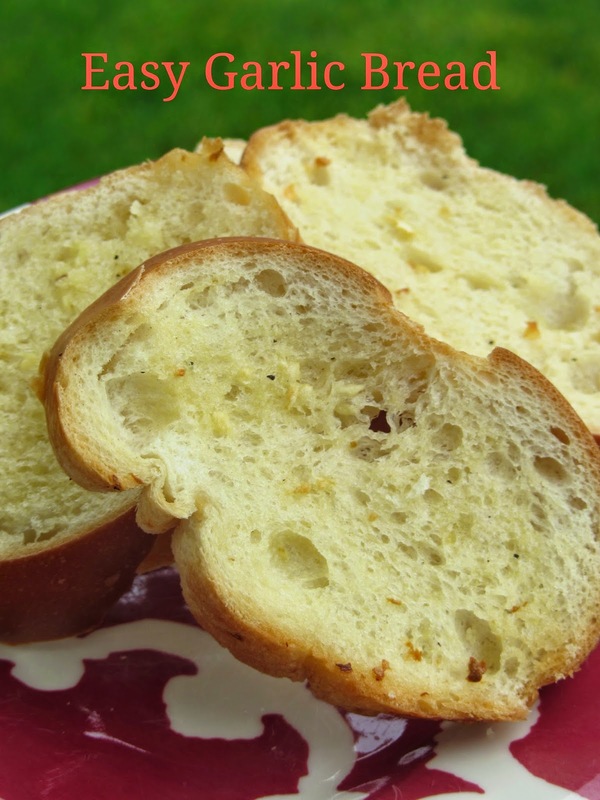 Slice each loaf of bread into half or one inch slices, depending on how thick you like it. Set aside. In a small bowl, mix together butter, garlic, salt and pepper. Spread a small amount onto each slice of bread. Layer the slices on a cookie sheet and bake at 350 degrees for 10 mins. Just until starting to brown and crispy. Remove from oven and let cool. Once completely cooled, toss slices into a labeled freezer bag. Seal shut and store in freezer until ready to use. When ready to enjoy, remove from freezer and reheat in the oven for about 5-10 mins. Just until warmed through.